E-commerce merchants may want to spend more time marketing to millennials, as data from Nielsen reveals that this age group (21-34) is the one that is leading the way when it comes to online shopping. 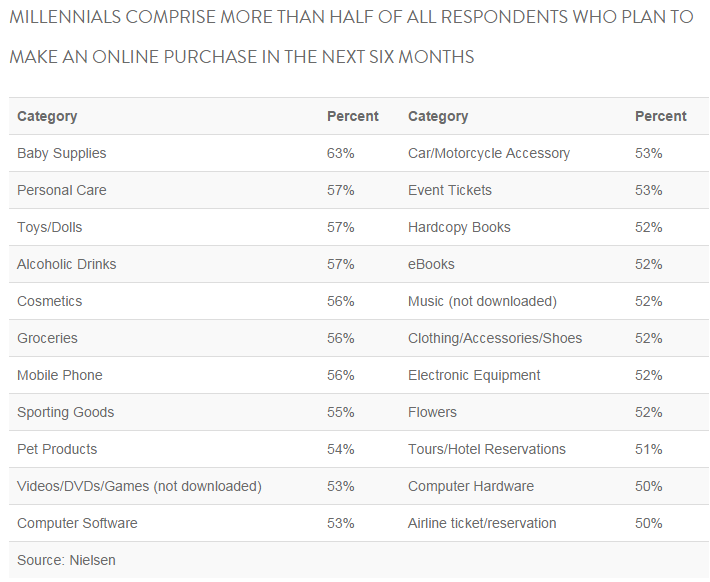 In fact, Nielsen’s Global Survey of E-Commerce found that millennials make up more than half of all respondents who plan to make an online purchase in the next six months across every product category measured. Conversely, 28 percent of Generation X respondents (age 35-49) and 10 percent of Baby Boomers (age 50-64) said they are planning on making an online purchase in the next six months. Data also shows that 2 percent of the Silent Generation (ages 65+) and 7 percent of Generation Z (under age 20) plan to make an online purchase in the same time period. In addition to age, however, Nielsen also notes that brands should consider the devices consumers use to shop. For example, the study found that while computers are the top device for online browsing and buying among respondents across the globe, mobile phones are gaining steam, with 44 percent of global respondents planning to make a purchase on their mobile phone in the next six months. 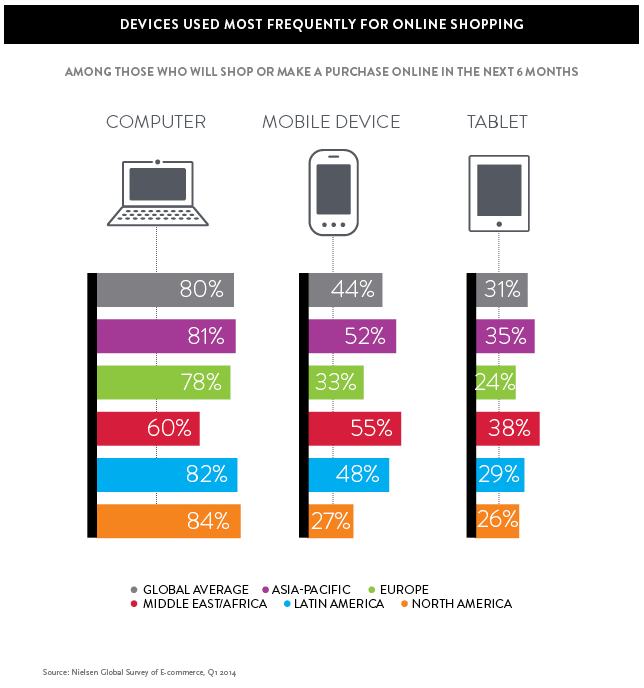 Comparatively, just 31 percent of global respondents say they plan to make an online purchase via their tablet in the next six months.